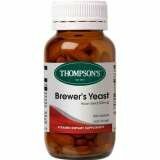 Thompson's Brewers Yeast is a nutritional yeast providing valuable nervous system support. Thompson's Brewer's Yeast. Individuals who suffer from or prone to stress, those who seek a daily supplement to help maintain a healthy nervous system. Solgar Brewer's Yeast Tablets with Vitamin B12 is one of Solgar's premium quality food supplements. A good source of B vitamins for vegans and vegetarians. 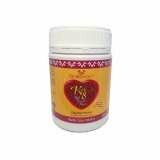 Yeast-Stat is a liquid formula containing traditional herbs with anti-fungal properties that help to relieve the symptoms of candida and other forms of yeast infections.